Karen Gray is bringing her 25 years of experience in public school teaching and administrative positions to the Sam Houston State University campus as director of alumni relations. Gray, who graduated from Sam Houston State University in 1980 and began her teaching career that year in Crosby, is now principal of Huntsville Intermediate School. She takes over the SHSU position May 16. Frank Holmes, SHSU vice president for advancement, said that Gray's Sam Houston State University ties and her experience working with volunteers were key factors in her selection. "Her Sam Houston State education and background of working effectively with volunteers and staff will help her to be successful in leading our alumni program," said Holmes. Gray said she is eager to begin work in the new position. "I feel this is a challenging opportunity to enhance membership growth and involve alumni in supporting the traditions of SHSU as well as contributing to future achievements," said Gray. She encouraged Bearkat alumni and friends to participate in the organization's activities and to offer their assistance. "The support of all who know and believe in Sam Houston State University increases the improvements and expansion of our alumni program," she said. In addition to her bachelor's degree, Gray also received her master of education degree in administration from SHSU in 1990, and did post graduate work in school administration at SHSU, receiving her mid-management certificate in 1991. After teaching in Crosby for five years, she taught in Baytown schools for five years and came to Huntsville as a fifth grade teacher in 1990. After one year she moved to Willis schools for six years. 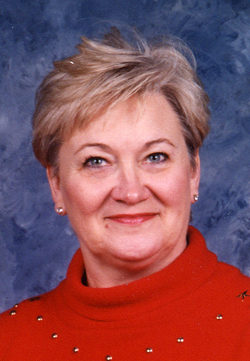 Gray worked in two positions in the Region VI Education Service Center for five years before returning to the Huntsville school district as an elementary principal in 2002. “We are extremely delighted that Karen has accepted our invitation to serve as director of alumni relations," said Holmes. "She has the personality traits, maturity, and administrative and management abilities that are essential to become an effective alumni relations executive."